There are a lot of security guard companies searching the internet for bid pricing software, and “How to bid on a security guard contract“. This would seem to indicate that, in order for you to win bids over your competitors, you not only need to know how to bid on a security guard contract, but how to to it quickly and accurately, in order to provide the most competitive bid possible, while simultaneously making the margin you want. 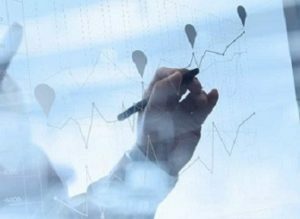 The issue is that there are a lot of factors involved in accurately estimating the profit that you will make when pricing a guard service bid. And it can be frustrating to spend the time necessary to accurately price a bid, only to lose it. Or worse yet, win a bid that was inaccurately estimated, only to find that you’ve cut out your profits, or may even lose money on the deal! Security guard service bid pricing software will alleviate your frustration by delivering an accurate bid in a fraction of the time spent with traditional techniques. And there is nothing wrong with being the first one to the table! 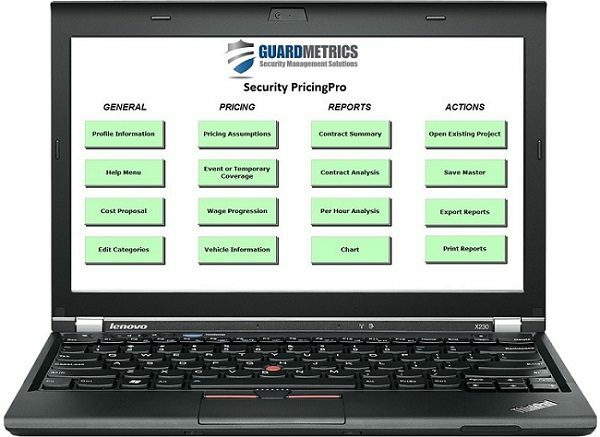 GuardMetrics has partnered with Security PricingPro to bring you a software solution that will help your security guard business streamline the tedious process of estimating bids, assisting you in your efforts to win new clients. With Security-PricingPro you simply enter the variables; office expenses, holiday pay, cost of insurance, fuel costs for your vehicles, payroll taxes, training overhead, etc., along with the profit margin–dollars or percentage–that you require from the job. Once this data is entered Security-PricingPro automatically calculates the exact hourly rate, or the percentage of revenue, that you need to charge in order achieve the desired profit margin. And once estimated, you can always go back in to make adjustments and quickly get your new bullseye-accurate rate calculation! Security PricingPro was developed by a security industry veteran with over 30 years of managing successful security companies. This bid estimating software makes pricing new jobs much faster, but most importantly, Security PricingPro gives guard company owners, executives, and managers, the tools they need to make sure their teams are estimating new jobs accurately – greatly reducing the risk of losing money on a new contract due to pricing errors. This bid pricing technology is exceedingly easy to use, prices a job in minutes, and has been utilized by security officer service providers that swear by it, for years. GuardMetrics has been fortunate to work with the developer of Security-PricingPro to bring you very special pricing, particularly in tandem with our security officer management system. Save time and win bids by swiftly estimating your jobs with security guard service bid pricing software. DEMO here.